💛ADVENTURE calls your energy from the mountains and pushes you to seek nature. 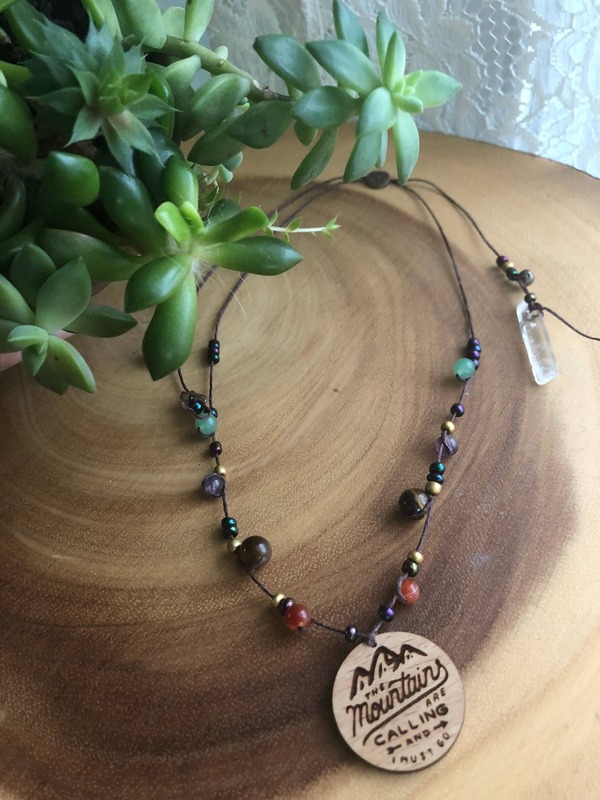 This necklace has been blessed with a prayer of protection and self love. I’ve carefully put my sole intention into making this one of a kind piece with good energy. 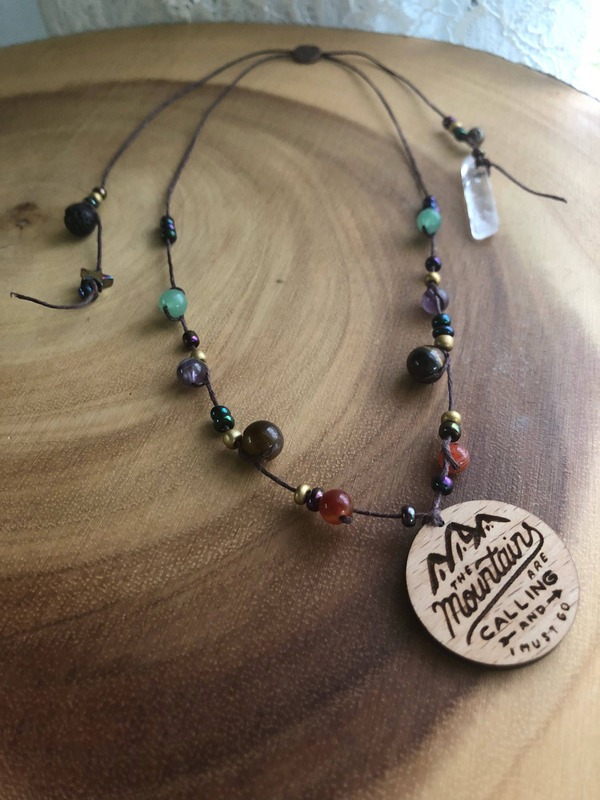 Let this necklace transform to fit your needs. We’ve picture 3 ways you can wear this necklace but possibilities are endless. Choker, bolo or at multiple lengths. 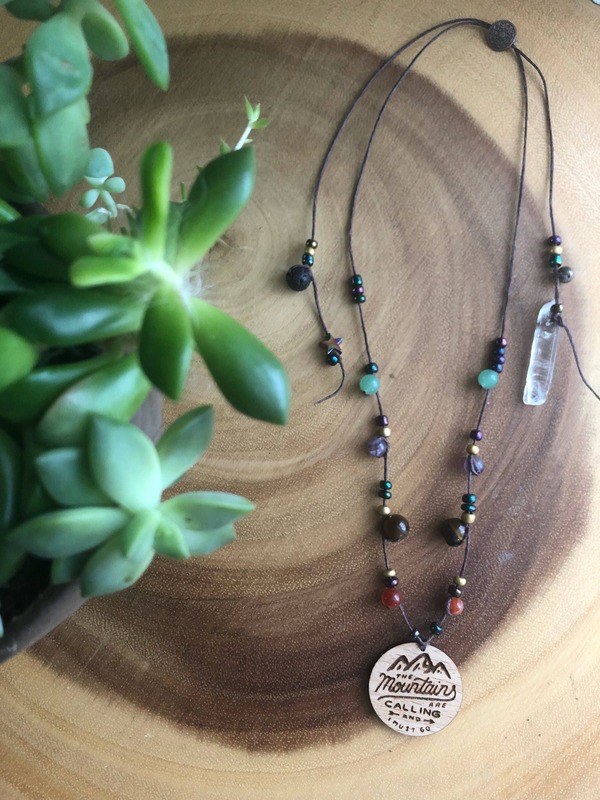 Waxed hemp cord makes this necklace water resistant and chemical free. Perfect for sensitive skin. 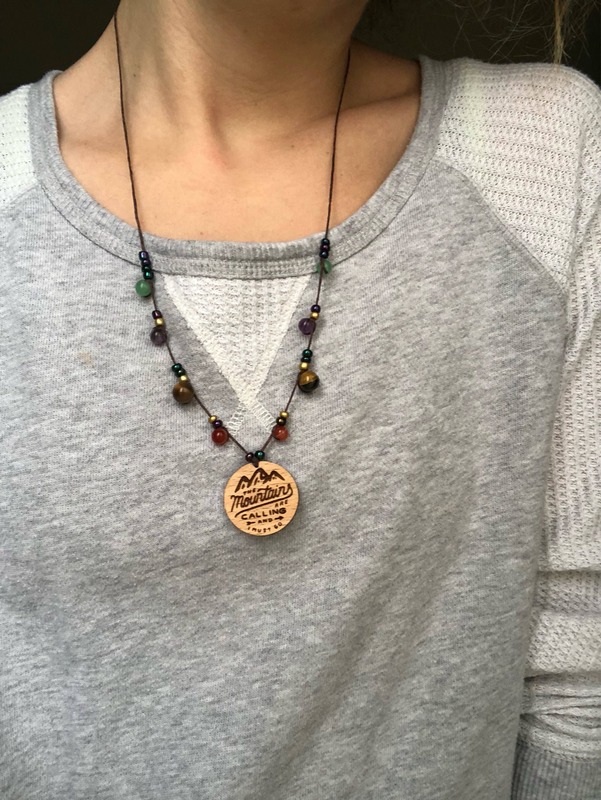 Feel free to wear your necklace anywhere you go, everyday. 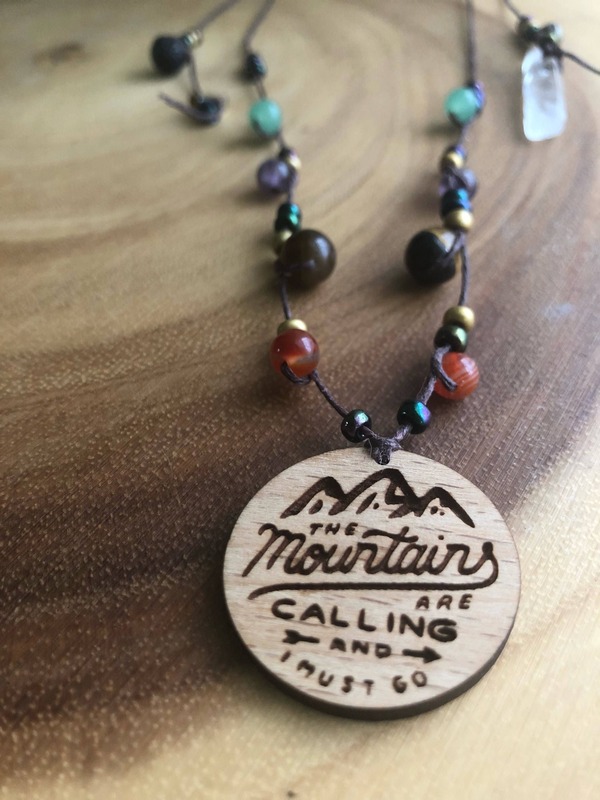 Wooden engraved pendant with quote "The Mountains are calling and I must go"
Tigers Eye brings courage and emotional healing. Black Lava bead for use in diffusing your favorite essential oils or perfumes. Just apply oil to the bead. 💜 What is a Transformation necklace? 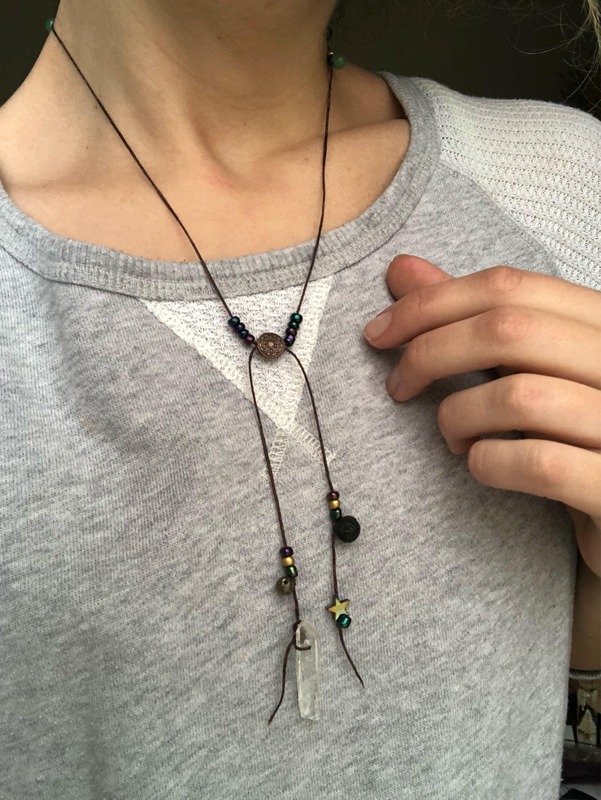 💜 The transformation necklace was something I created at the end of spring this year, inspired by a huge transformation that had helped me grow tremendously as a person but also was one of the most difficult times I had figuring out my purpose in life again. I discovered a more spiritual side to myself and began practicing mantras, praying and meditating. Out of this I had an idea about a necklace that was like a reminder of all the things I had learned through this journey. Something that itself would transform with my outfits like I do everyday. I thought about love beads from the 60’s and added tied beads which represent the love in your life that never goes away. 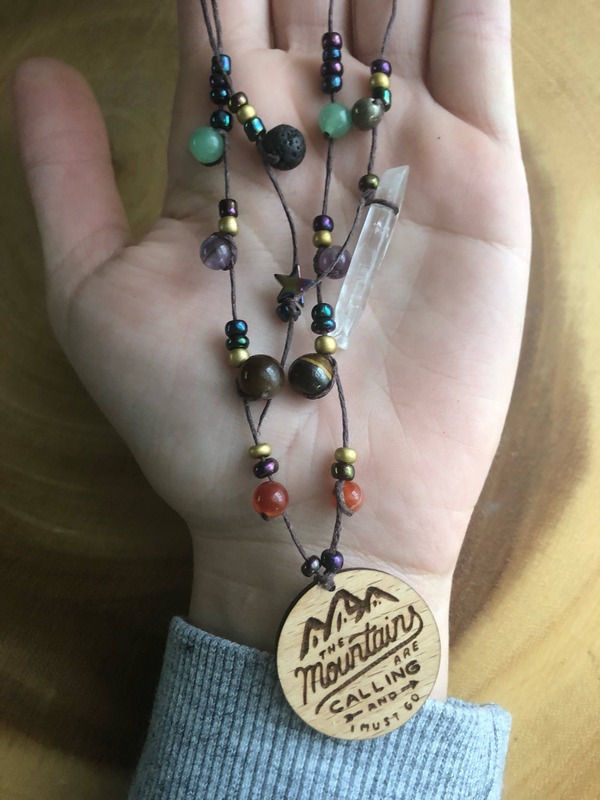 I thought about prayer beads and added beads that moved between the love beads to remind you of your ever changing prayers and mantras. 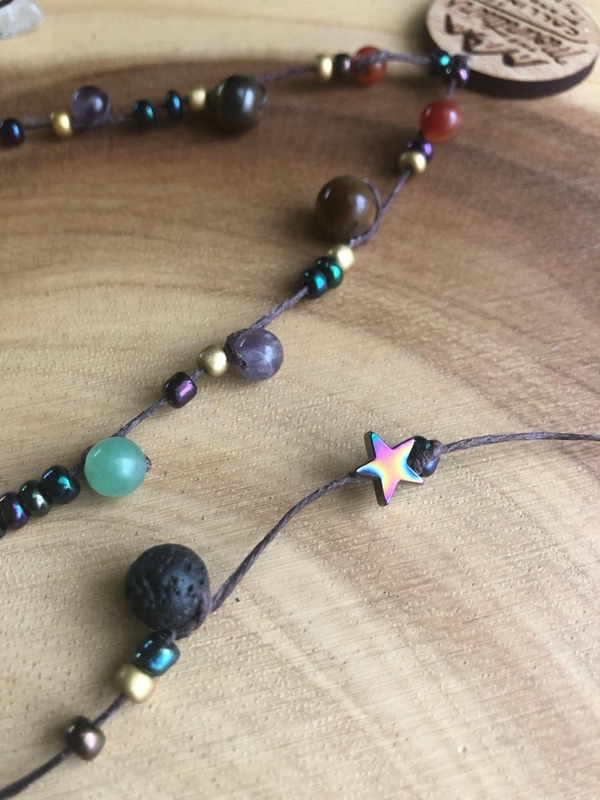 The waxed hemp cord allows the necklace to be worn anywhere without worry of sensitivity, tarnishing or turning your skin. 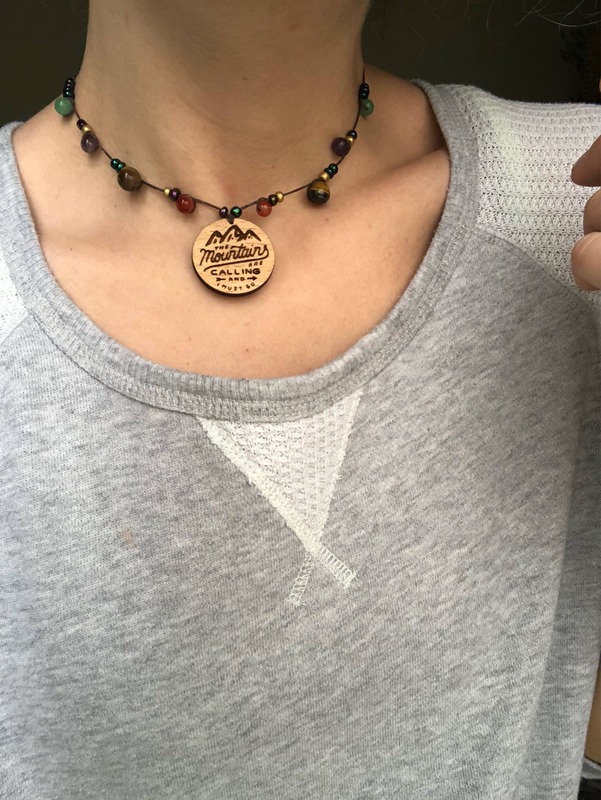 This necklace transforms by being fully adjustable (swipe through to see) so you can transform your look without changing your necklace and get a beautiful effect all the way around. 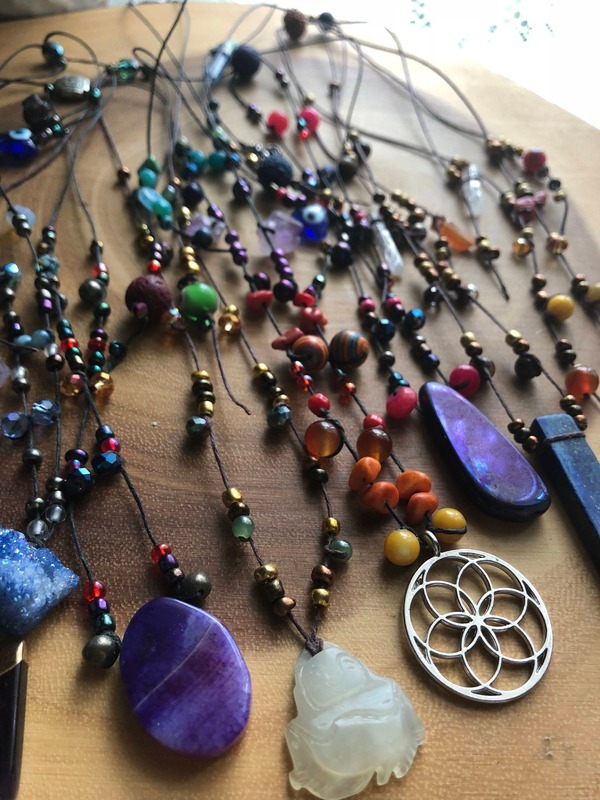 Last but not least the pendant for each necklace as well as the ends contain special stones, lava beads for diffusing oil and crystals for good energy... each specifically chosen for that necklace. No necklace is the same each one is as unique as the soul that gravitates to it.